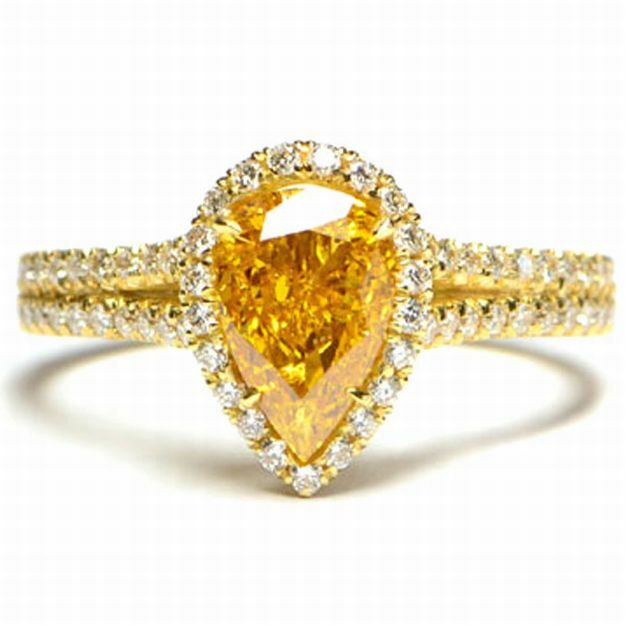 A 1.34ct Pear Shape Fancy Intense Yellow Orange Diamond. A 1.34ct Pear Shape Fancy Intense Yellow Orange Diamond. Set in 18KYG with 1.10 cts Pave setting Ring.